As we are slowly approaching Easter Holidays, we would like to remind you that we are closed on Easter Monday (April 2nd, 2018). We wish you all a peaceful and relaxing time spent with the ones you love and, of course, a successful egg hunting! 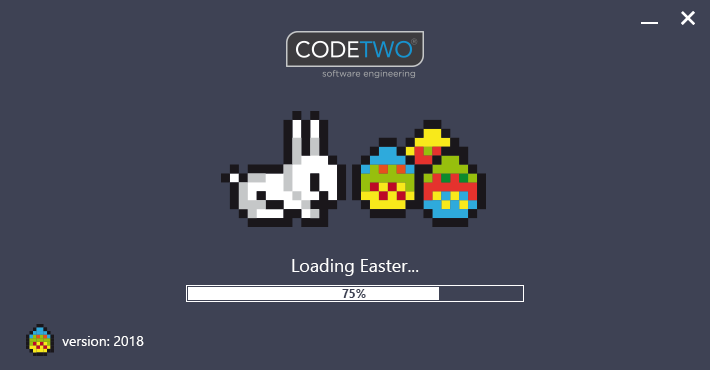 Happy Easter from CodeTwo!